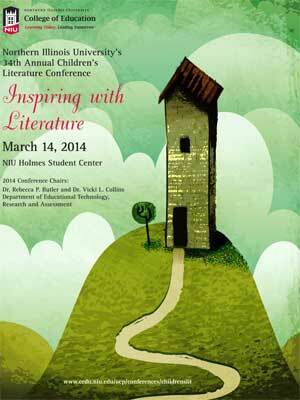 NIU’s 34th annual Children’s Literature Conference takes place Friday, March 14, in the Holmes Student Center. Under the theme “Inspiring with Literature,” organizers hope that conference participants will leave motivated and better equipped to connect with students through literature: This year’s speakers are uniquely qualified to discuss – and offer methods to ignite – the transformative power of literature. average”and “delinquents” – forged paths to success through writing anonymous journal entries about the adversities they faced in their daily lives. Gangs. Immigration. Drugs. Violence. Abuse. Death. Anorexia. Dyslexia. Teenage love. Weight issues. Divorce. Suicide. After graduation, they created the Freedom Writers Foundation, an organization that strives to empower educators and students to positively impact their own lives as well as the world around them. Jacobs will speak at 9:30 a.m. Members of the campus and local communities who wish to attend that session only are welcome for $5, which is payable at the door. They also can attend a separate question-and-answer session with Jacobs after her talk. Cost for the full conference is $149 (NIU alumni rate $139), which includes handbook, breakfast and lunch, and all sessions. Chicago Literacy Alliance members receive NIU alumni rate. Other speakers are Tom Lichtenheld, Joyce Moyer Hostetter, Sherri Duskey Rinker and Thom Barthelmess. Registration is available online. For more information, call (815) 753-3005 or email ceduexternal@niu.edu.